The return of She’s a Working Mum – where have we been?! 21st April 2018 - The date of my last blog. Alice was a mere 7 weeks old and Oliver had literally just turned 2. Life as a mother of two children had barely begun and I was settling in to my maternity leave. So here we are, over 9 months later . 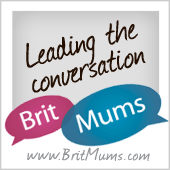 . . Where … Continue reading The return of She’s a Working Mum – where have we been?! Why I choose to become an egg donor. Find out why Dani has chosen to help others have a baby by donating her eggs. Read our new blog post where two working mums share their story, tips and their new album Ellis Island.